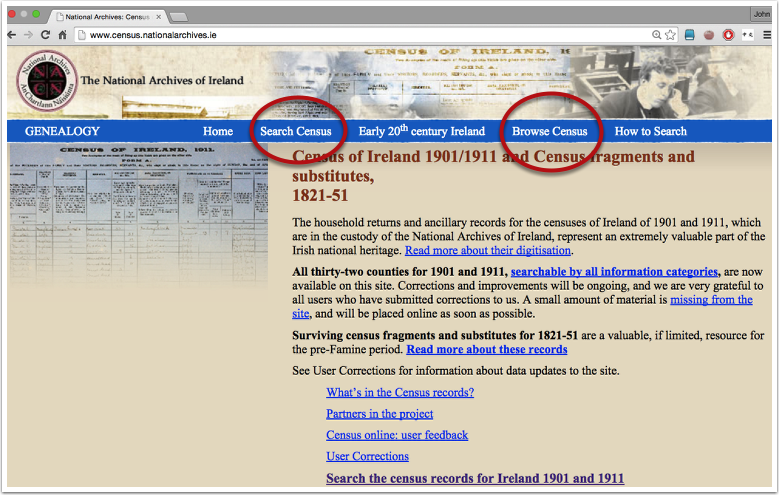 Step 1 - Go to the homepage of the National Archives website. Step 2 - There are two ways to use the census a) search or b) browse following county>town>electoral division>street. Step 3 - Browse - because you know your county/town/electoral division from Step 0 browse through the website. 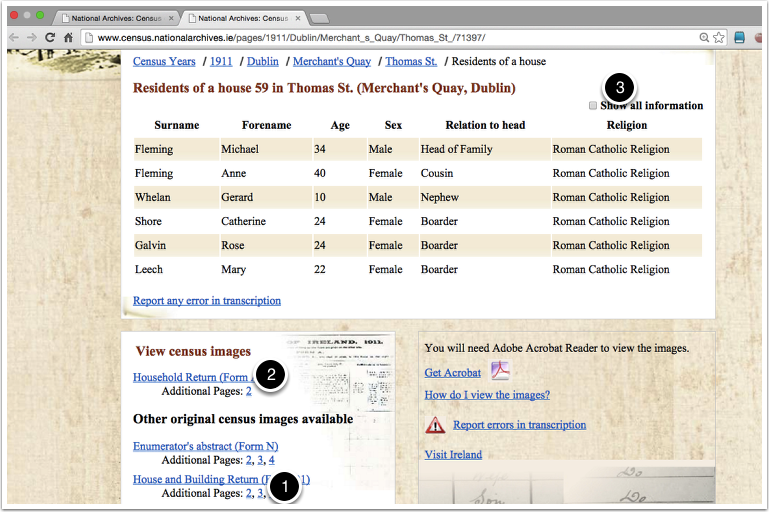 Step 4 - Find your family -this is the transcribed page - usually very accurate but always needs checking against Step 6. Step 5 - Rummage in the background to find out about the house (view the House Building Return) they are living in. Is it a dwelling or does it combine a shop also? How many windows has it? Is the roof slate or thatch? Is it 1st, 2nd or 3rd class structure? 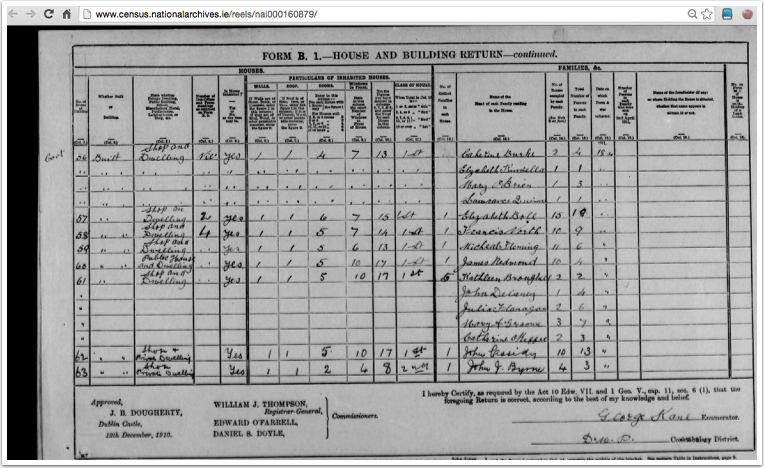 Step 6 - look at the digital copy of the original Household Return form. Here you will see the handwriting of whoever filled out the census form. We were delighted to find a g-grandmothers signature on one of ours and an X mark for a g-grandfather. Social history revealing itself. How to record all of this? Make a folder on your computer called Families. Subfolder for each surname. Save the census documents into those folders. In our graveyard surveys many of the community teams correlate early 20th century headstones with the census archives. Two such surveys that come to mind are 1. Moore South in Roscommon http://historicgraves.com/graveyard/moore-south/ro-moso and 2. Templetrine, Co. Cork eg. http://historicgraves.com/templetrine-graveyard/co-tmgy-0043/grave.